University Institute of Applied Management Sciences (UIAMS) conducts the exam for admission in Master of Business Administration Programmes as MBA (Retail Management), MBA (Banking and Insurance Mgt. ), MBA (IT & Telecommunications Mgt. ), MBA (Infrastructure Management), MBA (Pharmaceutical Management), MBA (Hospital Management). 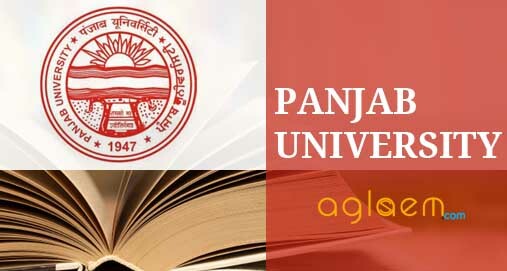 Interested and eligible MBA aspirants could fill and submit application form of PU UIAMS MET. The admission to all the mentioned courses takes place on the basis of the marks obtained in the Management Entrance Test and on the basis of Group Discussion and Personal Interview. A candidate can scroll through this page to have a clear understanding of PU UIAMS MET. Candidates should have a Bachelor’s or Master’s Degree from a recognised University with not less than 50%* marks in the aggregate. Should have passed the final examination conducted by Institute of Chartered Accountants of India . Should have minimum 50% marks in AMIE examination or passed the Diploma with 60% marks and have at least 5 years research/teaching or professional experience. Candidates who wants to apply for this course should have a Bachelor’s degree in Engineering/Technology from a recognised University with minimum 50% aggregate. They Should have a Bachelor’s degree in any Science subject with Physics and/or Mathematics from recognised University with at least 50% aggregate. They should possess a Bachelor’s in Computer Applications (BCA) from any recognised University having minimum 50% aggregate. They should have minimum 50% marks in AMIE examination or passed the Diploma with 60% marks and have at least 5 years research/teaching or professional experience. Candidates should have a Bachelor’s degree in Pharmacy with at least 50% aggregate from a well recognised University. Candidates should have done MBBS from a Panjab University or of any other University recognized by Panjab University with minimum 50% aggregate. Candidates should have a Bachelor’s Degree in any Science subject from recognised University with atleast 50% aggregate and Diploma in Pharmacy from a recognised University. Candidates should have a MBBS/ BAMS/ BHMS/ BDS/ B. Pharmacy/ B.Sc (Nursing)/ Bachelor of Physiotherapy (BPT) Degree from a well recognised University with 50% aggregate. The selection for these courses is made on the basis of merit list of combined score secured Management Entrance Test (MET), Group Discussion (GD) and Personal Interview (PI). 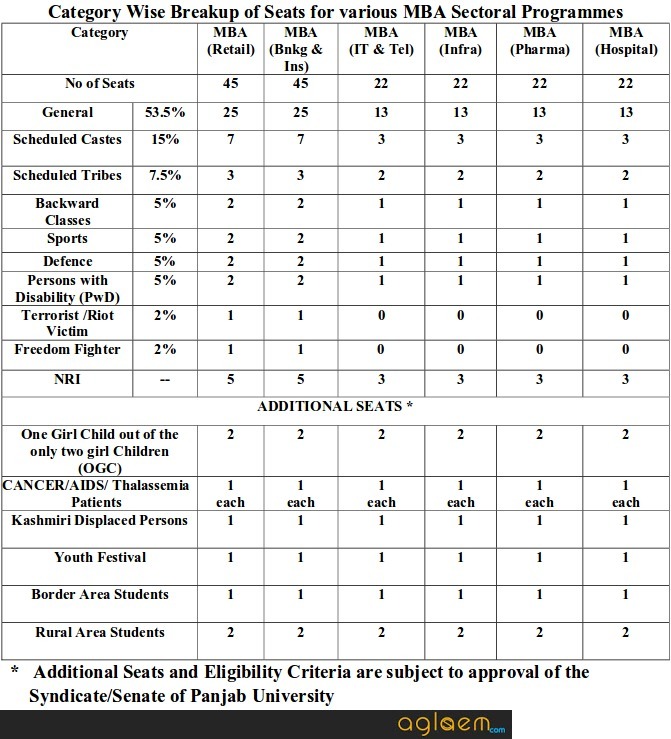 he number of candidates to be called for Group Discussion and Personal Interview will be eight times the total number of seats of all these courses in each category.